The High Court in Pakistan's capital Lahore has ordered a ban on sales of a cough syrup linked to the deaths of around 40 people as investigations into the tragedy continue. 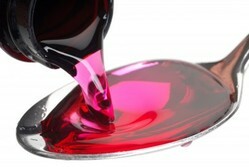 Initial reports in November suggested that the deaths linked to the locally-manufactured Tyno brand of cough syrup were a result of addicts ingesting high quantities of the product in order to induce a high from its principal active ingredient dextromethorphan. Since then investigators have suggested that the volume and pattern of deaths may not support overdosing as the primary cause, and the probe has shifted to whether the product was over-strength, contaminated or adulterated. Allegations have been levelled at Indian suppliers of ingredients used in the product, although these have been rejected by India's pharmaceutical manufacturers' association. Earlier cases of fatalities related to medicinal syrups have been recorded, and on investigation were found to have resulted from contamination of the glycerin excipient used in the products with diethylene glycol (DEG). Most recently, for example, around 90 people died in Nigeria in 2008 after ingesting a teething syrup (My Pikin) containing the contaminant, and there were earlier cases in Panama in 2006 and Haiti 10 years earlier. In some of these cases, DEG contamination is thought to have been a deliberate case of economically-motivated adulteration (EMA). It is too early to say whether DEG may be a factor in the Pakistan incident, and other possible causes for the deaths could be the quality and strength of the alcohol used in the product. The deaths have clustered around Lahore, Gujranwala and Kamoki and have been described in Pakistan's media as resulting from multiple organ failure. The ban on Tyno will remain in force until January 16, when the Court will reconvene to hear an update on the incident from the national drug regulatory authority.